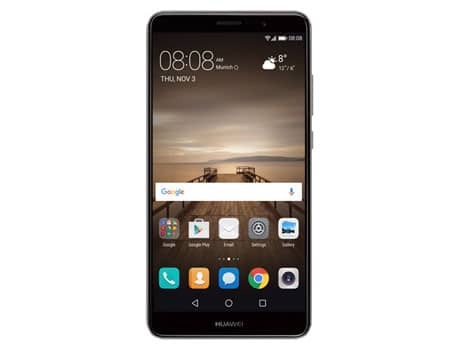 Chinese mobile phone giant Huawei is to pre-load Amazon’s Alexa voice assistant on its flagship Mate 9 smartphone, which has now launched in the US, as Amazon bids for a leading role in the emerging voice-activated services market. Alexa will be pre-installed in an app on Mate 9 handsets for US customers, while existing Mate 9 owners can get the app via an over-the-air update. “Customers can ask Alexa to set an alarm, or build to-do lists, get the weather, traffic reports, and more. In addition, Alexa can also control a broad array of smart home devices,” Huawei says. “With Mate 9, we set out to improve every element of the smartphone experience, creating a dynamic and powerful device that takes a big step forward in what consumers expect in a smartphone,” says Zhendong Zhu from Huawei in the US. The launch comes after a wave of Amazon Alexa integrations unveiled at the Consumer Electronics Show 2017 in Las Vegas. Other companies to reveal products with Alexa installed were domestic appliance manufacturers LG and Whirlpool, while Amazon announced its Prime members can now voice-order their next meal through Amazon Restaurants on Alexa-enabled devices. Last month, luxury hotel and casino Wynn Las Vegas said it will install Amazon’s Echo in all its 4,748 rooms by summer 2017. Earlier last year, Capital One bank customers were given the option to check their balances, pay bills and track their spending by talking to Alexa. Barclays to issue cards with dynamic CVV?